Patient One has a heart attack. He goes to a hospital, and like most patients who have suffered a heart attack or have pneumonia, he is admitted. An electronic notice will be sent to his insurance company the next business day. Patient Two is deeply depressed and has tried to commit suicide. He goes to a hospital for help. Before treating the patient, the doctor first must call a toll-free number, “present the case in voluminous detail, and get prior authorization,” Dr. Paul Summergrad, president-elect of the American Psychiatric Assn., said in a recent New York Times article. For decades insurance companies have been allowed to treat mental illness as if it is somehow not a real disease. Their rules and regulations made it tougher for a person suffering from mental illness or addiction to get help. While this may help an insurer’s bottom line, it does nothing to help our society. 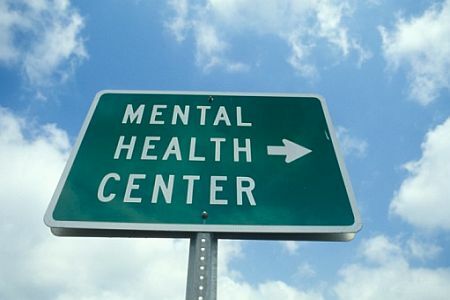 Mental illness has been a major factor in many of the mass shootings that have devastated our nation, from the Newton, Conn. elementary school massacre, to the killings at a Naval shipyard in Washington, D.C. Drug addiction plays a major role in many more crimes every day in this country. Just ask any cop. Treating mental illness and addiction the same way we treat physical illness seems like common sense, but insurance companies have done just the opposite—until now. Last week, the New York Times reported that the Obama Administration completed an effort to require insurance companies to cover care for mental health and addiction the same way they cover physical illnesses. The regulations will also extend to people covered by the Affordable Care Act. These new rules are expected to be particularly helpful to returning veterans, such as those suffering from post traumatic stress disorder. As we continue to search for a way to end the violence that terrorizes this nation, this is a major step in the right direction. This entry was posted in Addiction, Gun Violence, History, Mental illnes, Straight Talk, Substance abuse and tagged cops, Crime, Gun violence, mental illness, police. Bookmark the permalink. It is not a question of whether it could reduce gun violence–it will reduce gun violence and other crimes as well. Behavior and emotional state are linked. They cannot be separated. Our society largely ignores this and the way mental health has been treated by insurance companies (and employers) reflects the way society ignores the issue. But we KNOW, deep down, the truth. Happy people are not committing crimes. Unhappy people, fearful, stressed, depressed people are the ones whose thought processes eventually lead them to behaviors society finds unacceptable. In my programs, after the participants know me and how I am a happy and loving Being, I sometimes ask the participants if they would be afraid if I had a table full of loaded guns on the podium with me. There are slight shifting in their chairs by some who have a dislike or fear of guns as if guns themselves have any power but for the most part the group always agrees they would not be frightened by my standing by a table full of loaded guns. Then I ask them if they would be afraid if the person next to the table was someone they know was angry or depressed. There is never any hesitation–the group knows intuitively that they would leave under those circumstances–as quickly as possible. We know emotional state impacts behavior but society does not address the low emotional states until a crime is committed. If we consciously acknowledge the connection between behavior and emotional state we would change our own behavior and help those who are feeling down. Today, we often kick them further down which just worsens the lives of everyone. Before we consciously accept that emotional state affects behavior we have to loosen our hold on the bogus concept that some humans are evil. We like to think that there are “good” people and “evil” people because it helps us believe, if we do our best to be good, that we can’t be evil. The truth is that it is the sustained low emotional state (which may be because of environment or because of learned thought-processes) is what leads to evil behavior. Emotional state can be managed with skills even children can learn. If everyone learned those skills very few people would live in low enough emotional states long enough to create a problem for society. Better medical care is a 1st step but that is treating a symptom. I suggest we do true prevention and widely share the skills to managing one’s own emotional state at healthy levels. It is possible. It is the only path that will get us where we want to be–a world where everyone can thrive.